DO I NEED A CONCIERGE? With GHL Ibiza. 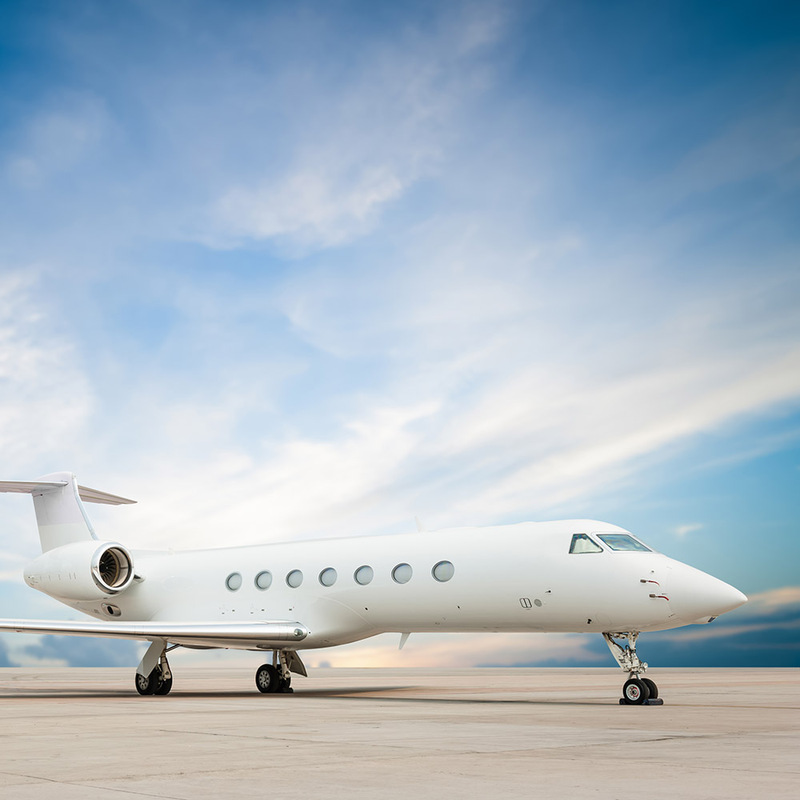 Working with a concierge can help to ensure the smooth running of your holiday, before you even arrive. On an island that attracts over 6 million visitors, it pays to be organized and have some plans in place, even if you choose the change them later. Whether you wish to go out every day or simply stay at your villa and be pampered, a little forethought will make the holiday you dreamt of a reality. We can recommend the perfect people to help meet your every need. From all the villa services such as shopping delivery on arrival or during your stay, poolside beauty treatments and massages, personal fitness trainers for the more active days, baby equipment hire to restaurant reservations, boat charters and chauffeur services, we can help arrange all the details to give you as much time to enjoy your holiday as possible. Please contact us to discuss your requirements and we will customize your entire trip so that all the arrangements are in place. A modest consultation fee and a friendly phone call from our experienced team on the island will give you access to every possible service available. This will help minimize the summer stress when your most precious commodity is time itself. Let us help take away the hassle and the stress involved in all the planning. Enquire about Your holiday concierge here! or contact us directly by phone: +34 971 339 303 or use our chat window. This is what we might call a 21st century version of the printed catalogue that we can find in any real-estate. 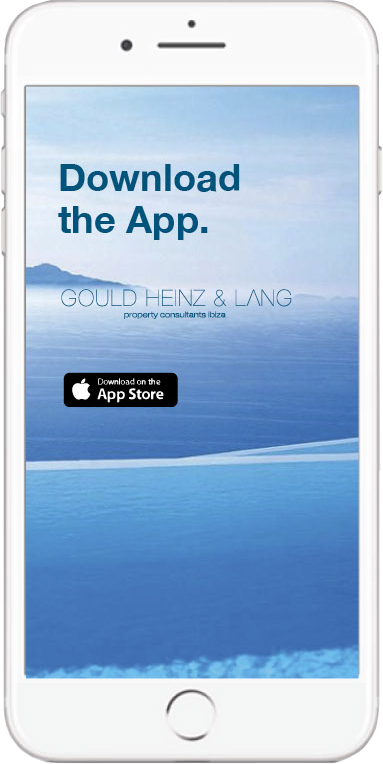 The idea behind is the deeply-rooted eco thinking of Gould, Heinz & Lang. We are keen on reducing footprint and thus invest in alternative options and embrace the digital world! 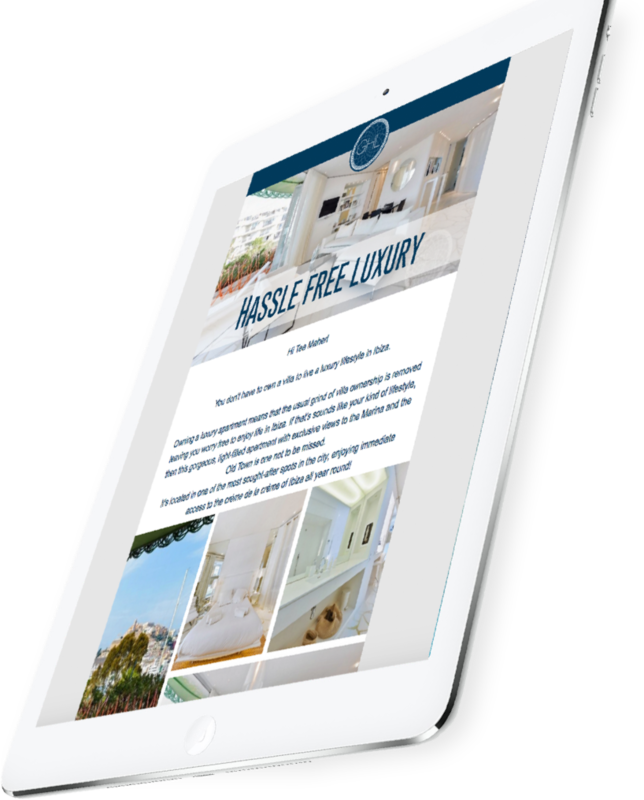 The App features our client’s luxury villas and is available from all of the various App stores, in all formats and is downloadable free from all platforms and for any device. Both our offices are located right in the heart of the island, in Santa Eulalia and San Juan. Our prime locations provide easy access to all our customers. We are always happy about your visit and we would like to introduce you to our portfolio. Subscribe to our newsletter and take advantage of many benefits. Be kept updated with the latest on the Ibiza real estate market, special offers and news from the island. Sign up today so you will never miss a thing.